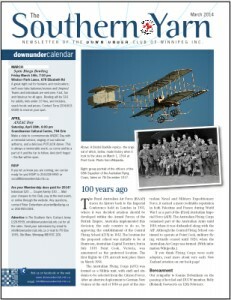 The 2014 issue of The Southern Yarn is now available for you to download. Inside you will find some fascinating stories of early aviation history down under, an interview with The Ashworths as well Murray Burt’s collection of Commonwealth news (anyone want to buy property in Kiribati?) and our regular sections. Go to the Yarn page, or use this direct link to the PDF. This entry was posted in Australia, Commonwealth Corner, Events, History, Military, Murray Burt, New Zealand, Winnipeg, Yarn on March 11, 2014 by Hydesmith. This entry was posted in Commonwealth Corner, Military, Murray Burt, Pakistan on March 14, 2013 by Hydesmith. This entry was posted in Commonwealth Corner, Fiji, Hong Kong, Military, Murray Burt on February 20, 2013 by Hydesmith.